Details: Window keystones, diamond ornaments. 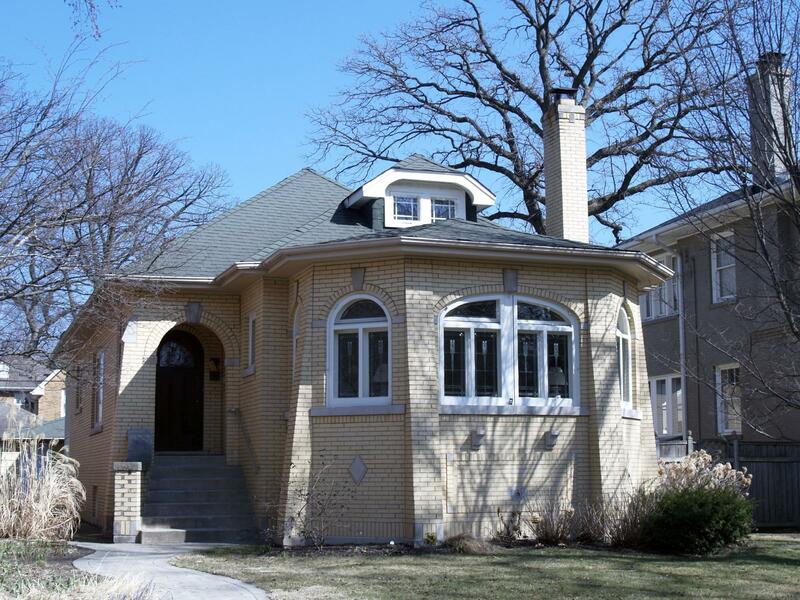 Historic Features: Craftsman roof dormer, polygonal front bay, art glass windows. 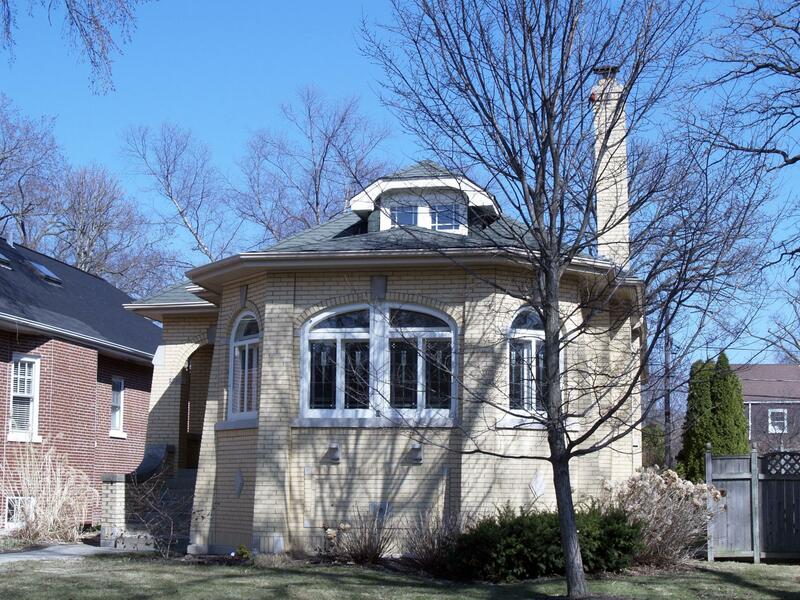 Alterations: Air conditioner in left dormer window.